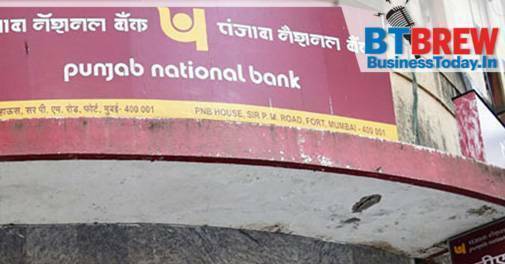 Scam-hit Punjab National Bank (PNB) reported a loss of Rs 940 crore for the June quarter of financial year 2018-19. The public sector lender had posted a net profit of Rs 343.40 crore in the same quarter of last fiscal. This is the second consecutive quarterly loss for the second biggest state-run lender. The scam-hit bank had recorded biggest ever quarterly loss of Rs 13,417 crore for the January-March period on the back of Nirav Modi-Mehul Choksi fraud. Total income of the bank rose to Rs 15,072 crore from Rs 14,468.14 crore in the year-ago period. In yet another move to boost domestic manufacturing, the government on Tuesday doubled import duty on as many as 328 textile products to 20 per cent. The government expects that the increase in duties would give an edge to domestic manufacturers as imported products are currently cheaper. And increase in manufacturing activity will help create jobs in the sector, which employs about 10.5 crore people.Last month, the government had doubled import duty on over 50 textile products - including jackets, suits and carpets - to 20 per cent, a move that was aimed at promoting domestic manufacturing. The Parliamentary Standing Committee on Commerce asked the apex bank to restore LoUs at the earliest with "proper safeguards" so as to increase the availability of credit for traders. The report further claimed that the ban resulted in a jump in the cost of credit by 2-2.5 per cent. Previously, these instruments were largely issued by domestic branches of Indian banks for customers to avail trade credit from foreign branches of other Indian banks and, thus, ease the high cost of imports. The panel pointed out that the increased cost of financing would only hurt the cost-competitiveness of country's trade and industry, and have a cascading effect on jobs. And the loss of jobs is something the country can ill-afford. Indian banks reported a total loss of about Rs 70,000 crore due to frauds during the last three fiscals up to March 2018, the Rajya Sabha was informed today. The extent of loss in fraud cases reported by scheduled commercial banks (SCBs) for 2015-16, 2016-17 and 2017-18 was Rs 16,409 crore, Rs 16,652 crore and Rs 36,694 crore, respectively, Minister of State for Finance Shiv Pratap Shukla said in a written reply quoting RBI data. Around 17 lakh employees of the Maharashtra government began their three-day strike on Tuesday to press for various demands, including implementation of the Seventh Pay Commission report. Essential services in various departments, including government hospitals, are likely to be affected as class 3 and 4 government employees have joined the strike, Maharashtra Rajya Sarkari Karmachari Madhyavarti Sanghatna general secretary Avinash Daund claimed. The government employees are yet to receive arrears accrued to them since the implementation of the Sixth Pay Commission by the state government. The prolonged battle for the debt-ridden Bhushan Power and Steel has just gotten stretched out even more. The National Company Law Appellate Tribunal extended the deadline for revised bid submission by yet another week, so things are unlikely to wrap up anytime soon. The Tribunal pushed back the deadline to August 13 on the plea of Tata Steel, which had been declared the highest bidder in July - for the second time.